Situated on 1120m2 of prime waterfront land out the front of Cullen Bay marina with commanding water views across Mindil beach and Fannie Bay this 5 Bedroom plus office double storey residence is an investment in your future. •	Great size yard – very unique for this location. 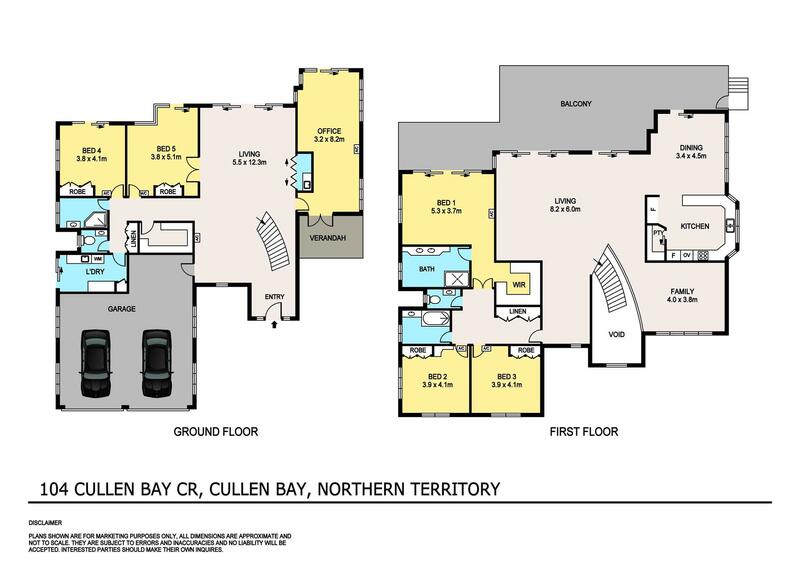 For anyone seeking the ultimate in location and lifestyle 104 Cullen Bay Crescent has it all. Stroll to the restaurants and bars of Cullen Bay or simply dine and entertain at home and watch the magnificent sunsets over the water from the best location in Darwin.